Coal is under attack in the US. The multi-prong attack includes regulations on the production side to regulations and potential policy on environmental concerns including carbon dioxide (CO2) / greenhouse gases. 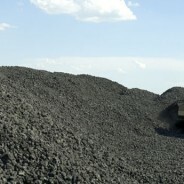 There are several paths for coal in the US to go. At AEC, we spent much of our history managing and understanding the various risk factors in the coal market for one of the largest buyers of coal in the US. We can help reaffirm or offer additional insights to your forecast and planning strategy around coal markets along with the associated parallel market risk (e.g. power markets).